WELCOME to the thirty-second issue of the Bay City Post! 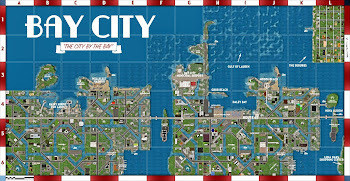 -Keeping you updated on the best city on the grid. Spring sprang, summer shined, winter welcomes, but I always fall for autumn. “Color my city bright and pretty. I her mentor and she my muse, delighting in the painted hues. Seriously though isn’t autumn wonderful? 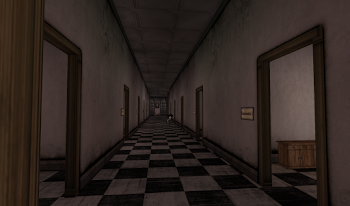 Come visit Bay City! 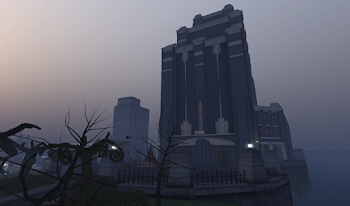 “The Interview” Join Uccie Poultry-Seale as she interviews Jack O'Lantern! We are seeking the donation of auction items for the Bay City Alliance's annual Tree Lighting Festival and Charity Ball. We are again looking to raise funds at this event for www.childsplaycharity.org . This organization offers online communities such as ours, an opportunity to help seriously ill children around the globe during their hospital stays with the purchase of games and gaming equipment. It would be so kind of you to offer a signature item for the silent auction. All proceeds will go directly to www.childsplaycharity.org and can be delivered to our dedicated alt baycitysl resident, and /or inquiries can be made to Marianne McCann co-founder of the Bay City Alliance or Ever Dreamscape, Editor, The Bay City Post. We would suggest that you send fun, interesting, unique, or merely extravagant transfer items (or a no copy object that the auction winner can give to you to redeem for their prize, if the item(s) have to be no transfer) that reflect well on your SL business, as it is also our goal to offer you a great opportunity to showcase yourself at this popular annual event. 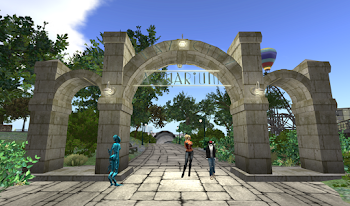 The Tree Lighting Festival is to be held Sunday, December 8th 2013 from 1-4 PM SLT at the Bay City Fairgrounds.The event features the tree lighting and silent auction, as well as live and DJed music with GoSpeed Racer, CelticMaidenWarrior Lancaster, and Grace McDunnough. There will be ice skating, dancing, refreshments and lots of fun! All are welcome to this free public event and we would particularly like to invite you!! *Please send your holiday ornament to be hung on the tree to Marianne McCann. **Don’t forget the lighted boat parade to be held in the North Channel later that month. Just as predicted (smart aren’t we?) Halloween came October 31st this year. The Bay City Alliance held an awesome dance party at the Hallowe'en Hay Maze at the Bay City Fairgrounds. The party featured Bay City favorite DJ GoSpeed Racer! Hardly any pumpkins were hurt in the making of this party. In October, The Bay city Alliance passed its fifth anniversary as a group! The first meeting was 10th October, 2008 Only four members who attended the first meeting (out of 25) are still active in BC. One of the first action items was a welcome basket. BlueGin Yifu, founder of the Bay City Alliance, passed in October 14th, 2010, roughly two years after founding the Bay City Alliance. She helped spearhead the sense of community, and community participation throughout Bay City. To this day we still use a stage design she created for our annual Anniversary event. A Taste of Bay City Party is a party that YOU host at YOUR place in Bay City. It can be your residence, business, group headquarters, or any build you like; and held at a date and time of your convenience. 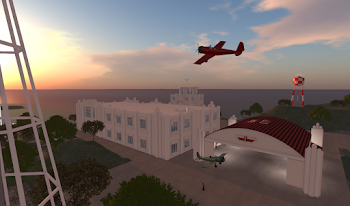 It’s a great opportunity to get to know your neighbors and showcase your prims. Whether it’s a grunge party in your garage, a formal dinner, gallery opening or what have you… people want to see you what you’ve got going on! If you’re new to party planning it’s easy to get help from your fellow Bay City Alliance members. 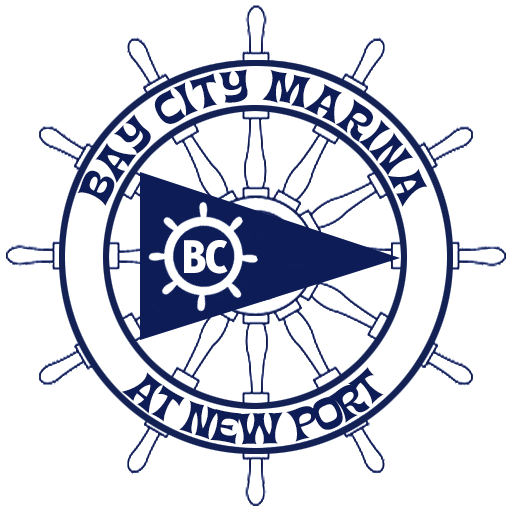 Isn’t it time YOU hosted a “Taste of Bay City Event” at YOUR place? Come to a Bay City Alliance meeting to find out more! 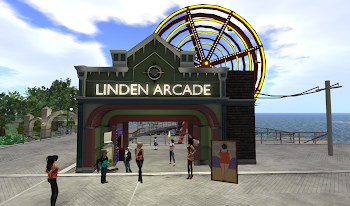 With the departure of the MIlky Cats land sellers in Bay City, several parcels ended up back in the hands of Linden Lab. Unlike many parts of the mainland, the Lab does not put Bay City parcels up for sale, but puts them in their auction website to the highest bidder. Our congratulations to all auction winners, and we look forward to seeing the good things done with these lands by these and future owners! What better way to spend time in this cool fall weather than to cozy up with your favorite furry friends?! Remember December is slick so don’t fender bender! !